Hi there, and welcome to Learn To Food! I’m Randy, and I’ll be your guide, partner, and sometimes-mentor through this place. Together, I hope that we can learn a lot, have some fun, and cook some amazing food. So, what is Learn To Food? It’s a fun, positive place to learn everything you need to know to make great meals from around the world for yourself and your friends and family. It will teach you not only the steps needed, but also the reasons behind those steps. 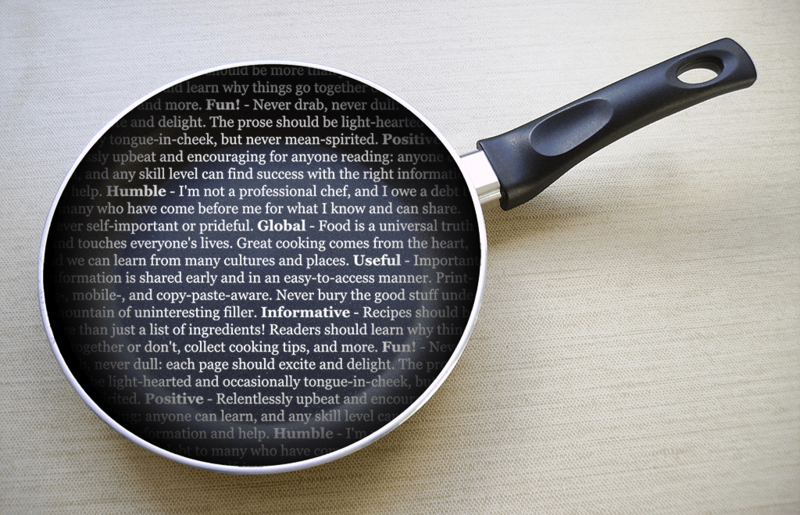 With that knowledge in hand, you’ll be better prepared to think up your own delicious recipes! It has large, detailed (if perhaps not always beautiful) pictures, easy-to-use guides and recipes, copious quick tips, and a healthy dose of humor. It will help take stress and fear out of cooking, so you can get straight to making food that you’ll love to eat. Learn To Food is everything you need to become the best cook that you can be! Now, as for what it’s not? It will never talk down to you or make you feel inadequate. It will never purposefully confuse or confound. It will never be home to pride or self-importance. It will never value form over function. And most of all, I will never stop learning–learning how to cook better, write better, and give you exactly the kinds of content that you want better. Does all that sound alright to you? Great, then let’s quit yammering on and Learn To Food!